One of California's original Spanish colonists, Luís Peralta received the first and largest Mexican land grant. His hacienda was the nucleus of the Rancho de San Antonio, which covered the sites of seven present-day East Bay cities and reached to the Contra Costa frontier. 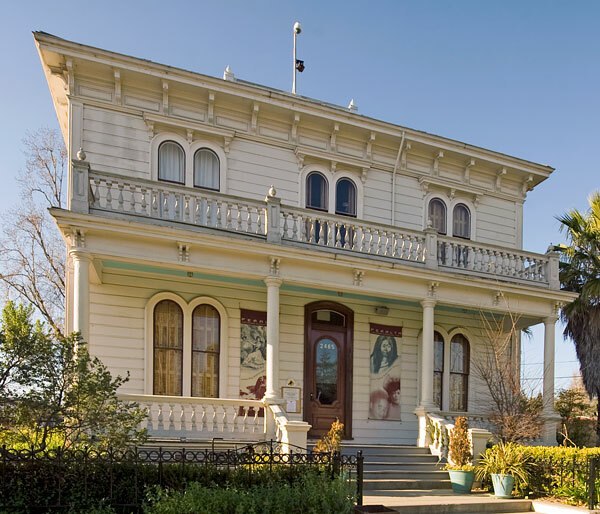 The rancho's first permanent adobe was located here, and the 1870 Italianate frame house is one of two remaining Peralta buildings. The Antonio Peralta Hacienda is also National Register Listing #1977000285. We were unable to locate a California commemorative plaque.